Super Locksmith Service has been able to achieve massive success in New York, NY area because of a team of security professionals who are highly dedicated to customer service. They are willing to provide round-the-clock support for all your locksmith needs and security issues. Because of this dedication and proper training, we are able to handle any and all situations that our locksmiths may face when they are in the field. Over the years we have successfully handled multiple car lockouts, addressed many home security issues and provided support to our commercial clients when they need us the most. 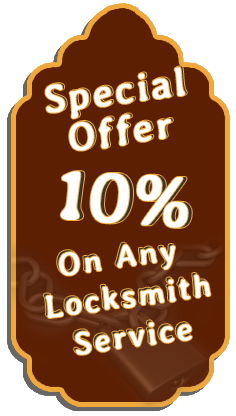 We only hire qualified locksmiths, who get an extra edge in their credibility because of their association with us. Every professional locksmith who works with us has to adhere to our company’s Code of Ethics, which defines the legitimate methods of practice that a locksmith is expected to follow when he is working with a client. Along with that, you can expect our technicians to maintain confidentiality and privacy in all our dealings. You can ask for a proof of their credentials and they will gladly show the issued ID cards. Our technicians have nationally recognized professional trade qualifications and have also passed our own rigorous independent evaluation programs. The high standards that our technicians must comply with provide us with a team that possesses both the skills and experience needed to evaluate and make recommendations regarding the best solutions to meet your specific needs. We fully stand behind every task we are commissioned to perform, from a simple lock change or repair to complex procedures. We provide a wide range of services that caters to various needs of our clients. Simple lock repairs to residential lockout solutions for our residential locksmith clients. Development and reprogramming of transponder keys to unlocking the car for our auto locksmith clients. For our commercial clients, we provide installation of advanced locks to the development of security plans to make their premises safer. Apart from these three, we offer emergency support for all kind of needs anywhere in the New York, NY area at a moment’s notice. You may feel the need to reassess the quality of your locking system at home and office. This is very natural in case you have frequently heard about a lot of burglaries and thefts in the neighboring areas. In such as situation, you should take the help of a locksmith service rather than make your own conclusions about the security of your premises. Our team will sit and discuss with you all the weak points in your security, how to overcome them and how long it will take to do the same. You can then choose to make the changes based on our suggestions by adding your own inputs. Our goal is to make you feel safe. When you need a locksmith with a quality and customer-service-driven reputation, look no further than Super Locksmith Service. Call us now on 212-271-8124 and give us an opportunity to serve you.